Bananas are pure carbohydrate and contain high sugar; 100 on the glycaemic index so behave much the same way as an energy gel, but is proper food! Carbohydrate is your body’s first choice of fuel when undergoing rigorous activity and a banana also contains potassium to help balance your electrolytes. If you are working more than 50% maximum heart rate (MHR) this type of carbohydrate will be used up as fuel quickly; roughly 20 minutes. If, however, you eat a small amount of protein before the banana, i.e. 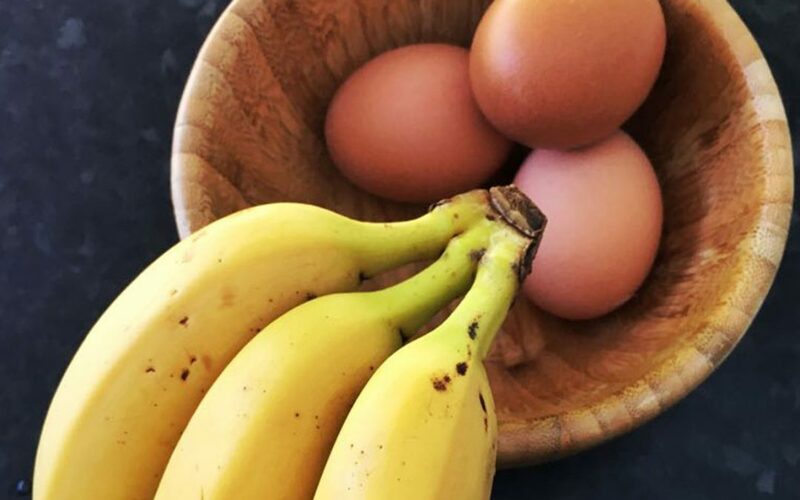 an egg or a few nuts (easy to store in your back pocket), the release of energy from the banana will be slower, therefore giving you more energy. Remember: A small amount of protein slows the rate at which your body burns glucose.